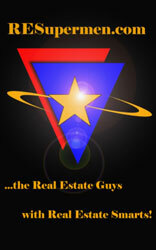 Welcome to the real estate Buyers Request Form. By filling out the following form, a list of matching homes for sale can be made available for you. Please note, this is a free real estate service and there is absolutely no obligation.ed. When filling out the above real estate Buyers Request Form, you can be provided with information regarding all of the real estate for sale in San Antonio and its surrounding areas. If you would like to see all homes for sale in the MLS, be sure to visit my properties search where you can view all area homes for sale.